A comprehensive guide to locations, logistics, entertainment & more. The secret’s out: Planning executive meetings and corporate events is tough. There's countless moving parts to coordinate, logistics to organize, potential destinations and activities to consider. With every client and guest expecting to be wowed, the pressure can be intense. 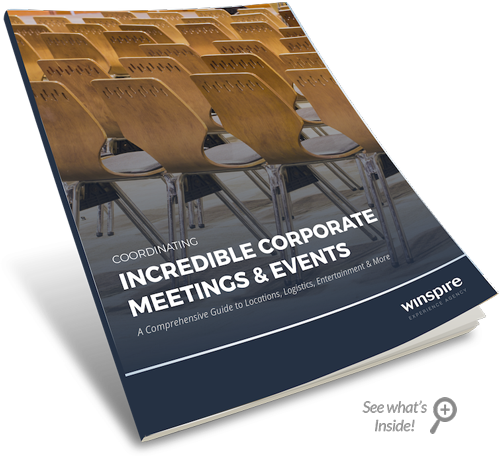 We drew upon decades of corporate event planning experience to develop a free guide that covers all you need to know about coordinating exceptional meetings and events. Learn best practices and fresh ideas for choosing a destination with plenty of "WOW" factor, planning exciting activities, booking celebrity talent and plenty more. Event planners of all experience levels can leverage these tips to take their corporate events to the next level. 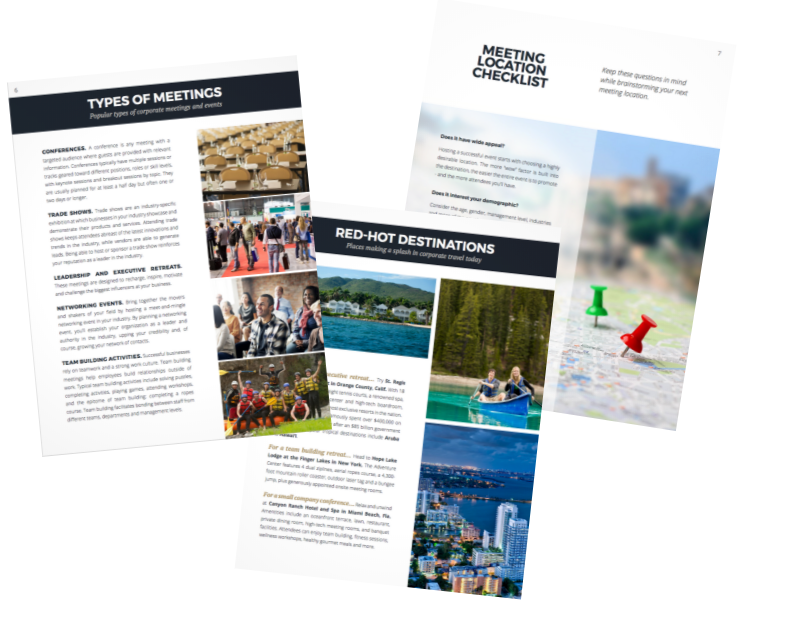 Fill out this form to access the free comprehensive guide to meeting planning and events.